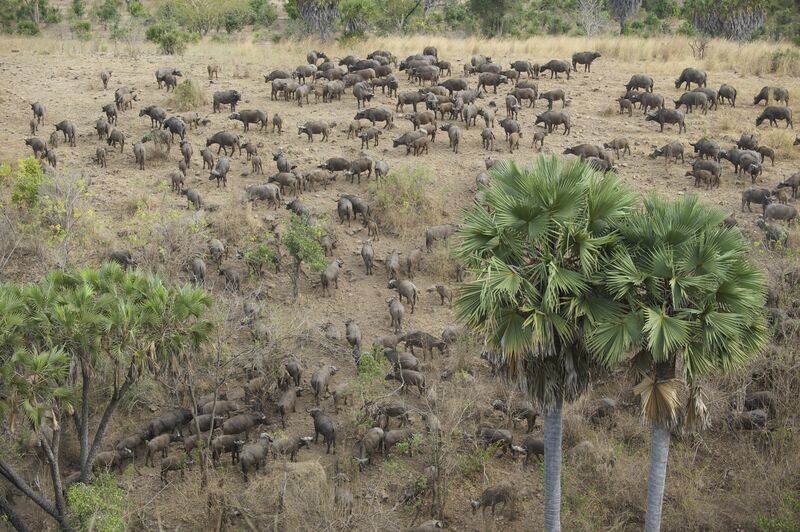 Clouds of dust rise beneath hundreds of hoofs as the herd of 300 buffalo make their journey from the relative cool of the shade in the forest, over the scorched earth of the open plain in front of camp to get some much needed refreshment in the spring down below. The last leaves are falling and blowing in little tumbles. The days are hot. Water, the most precious commodity, is getting ever more rare to find, besides the big lakes of course. And due to all of the animals’ need to have it, daily, it is becoming like a fast food restaurant. The predators just lie in wait for the next meal to come in. 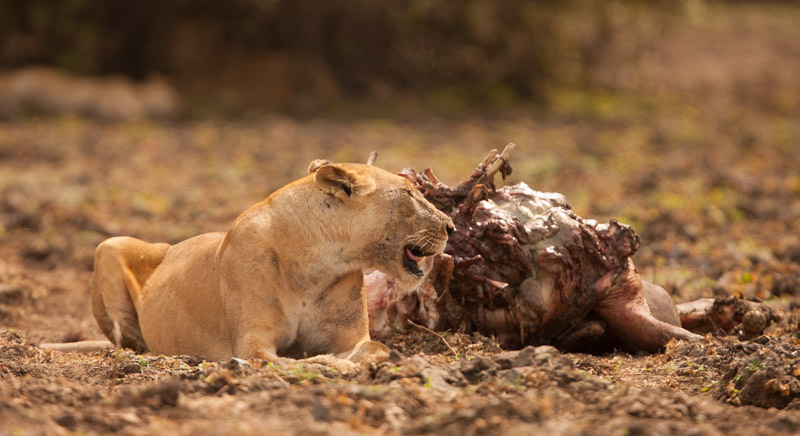 We’ve seen several lion prides feasting on a variety of game – from wildebeest to impala and even hippo. The Long Pod Cassias are coming in to bloom, and birdlife is incredible – our birdcount stands on 207 for the season so far. The rare Humblots Heron has been spotted a few times, and there is some debate over whether he has fathered a hybrid chick with another type of heron! 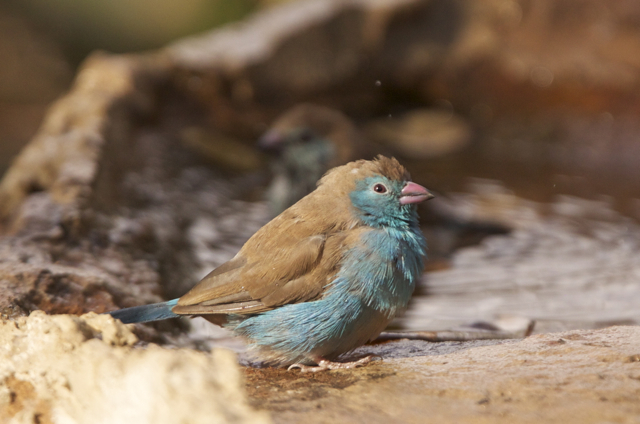 Groups of beautifully shimmering, iridescent blue-eared starlings come down to the waterhole every afternoon over teatime, and the little blue waxbills splash around in the birdbath just outside the kitchen door. 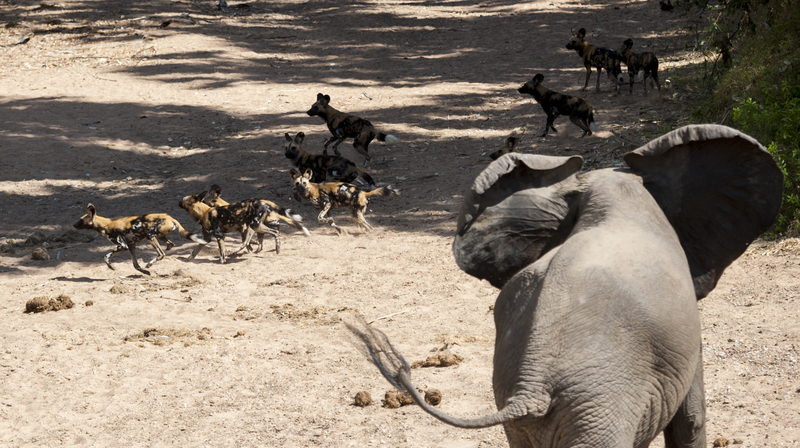 Wild dogs lounging and playing on our airstrip, lions stalking and making a kill in the mud, close encounters with elephant as well as hippo on foot are only some of the many great game sightings we’ve had in the last few months. We have even had a leopard coming for a drink over dinner! 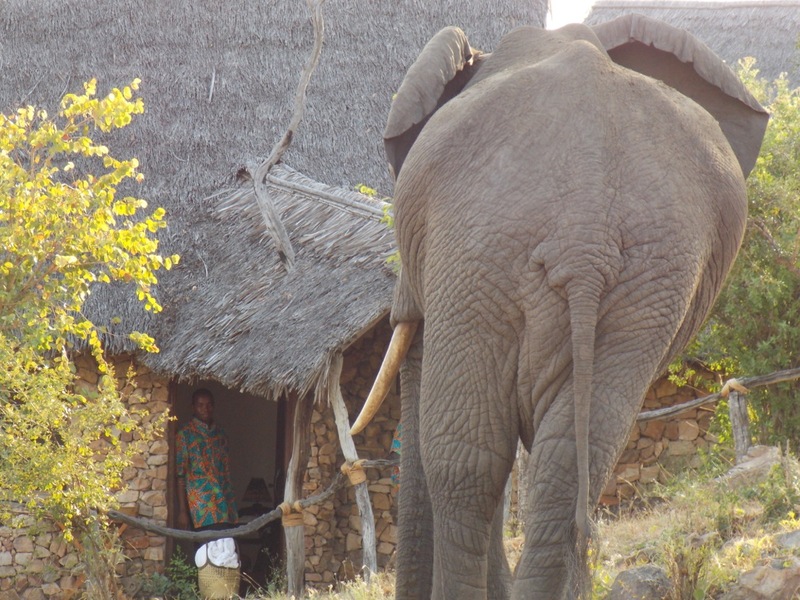 One naughty elephant bull that loves the kuduberry tree, which is situated between the swimming pool and banda 2, often keeps guests waiting on either side, not willing to budge for anyone while he feeds on the delicious fruit. Many a romatic dinner has been spent out beneath the stars in our Treehouse, the hyenas whooping in the distance as the lantern flames flicker and the evening settles in this incredible wilderness that is the Selous. Even though it is supposed to be the dry season, we have been experiencing a few rain showers which is very unusual for this time of year, but then nature is unpredictable and not set to a calendar of when the seasons should be changing. This reminds us how fortunate we are to live in such a magnificently wild place, with remarkable views, landscapes and wildlife. 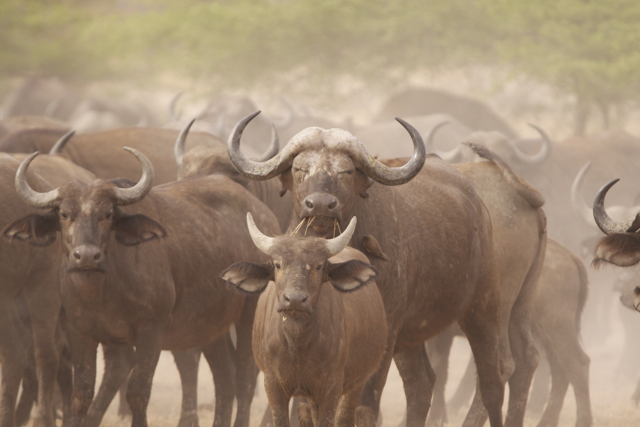 This entry was posted in Bushmail and tagged Beho Beho, buffalo, Bushmail, camp, elephant, Hippo, hyena, kill, leopard, lions, madagascar heron, safari, selous, wild dogs. Bookmark the permalink.